The globally acclaimed Dance Theatre of Harlem will perform Feb 28 at the Carolina Theater in Durham and has generously offered, due to its longstanding relationship with SLIPPAGE: Performance|Culture|Technology, to give a masterclass to advanced and advanced/intermediate ballet students. Please REGISTER at the link below. Dance Theatre of Harlem is a leading dance institution of unparalleled global acclaim, encompassing a performing Ensemble, a leading arts education center and Dancing Through Barriers®, a national and international education and community outreach program. Each component of Dance Theatre of Harlem carries a solid commitment towards enriching the lives of young people and adults around the world through the arts. 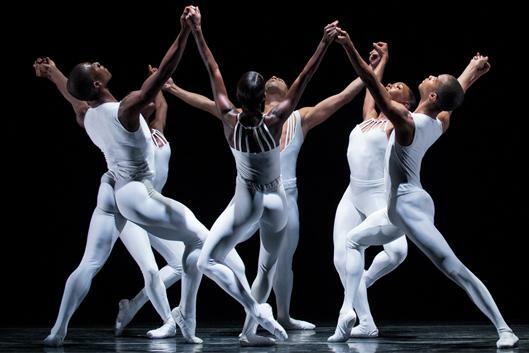 Founded in 1969 by Arthur Mitchell and Karel Shook, Dance Theatre of Harlem was considered "one of ballet's most exciting undertakings" (The New York Times, 1971).